(CNN) Japan’s space agency has attempted to detonate an explosive charge on an asteroid some 195 million miles from Earth, in hopes of creating a crater and collecting samples to shed light on the origin of the solar system. After deploying the SCI from the asteroid’s orbit, Hayabusa-2 moved to a safe distance from the blast site, the Japan Aerospace Exploration Agency (JAXA) said Friday. As the probe maneuvered to its evacuation position it deployed a small camera, called DCAM3, which scientists hope was able to capture the moment of detonation on the asteroid’s surface from a distance of about 1 km (0.6 miles). Ryugu, which is just under 3,000 ft (914 metres) wide, is currently 195 million miles from Earth. The probe has remained in orbit for months, and this is the second sample-collection mission it has undertaken. In February it successfully fired a “bullet” into the asteroid to disturb material from its exterior, which then floated from its surface due to the weak gravitational field. 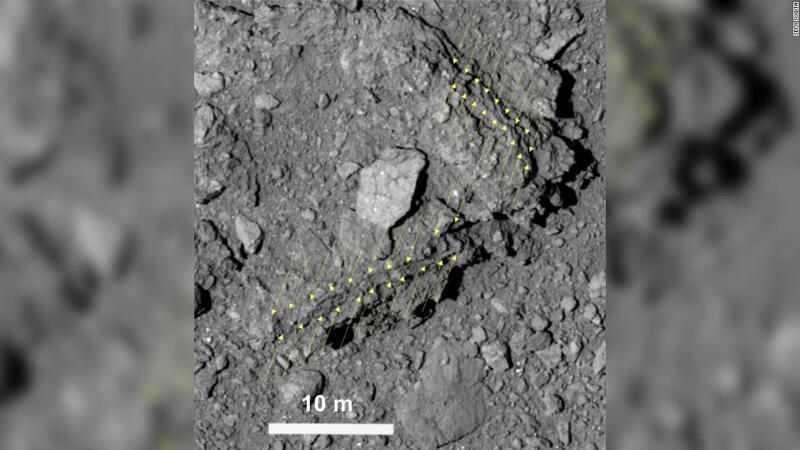 These particles were successfully collected by the probe, according to JAXA. The so-far successful deployment and operation of the distant probe could pave the way for improved observation and sample collection from planets and other celestial bodies. 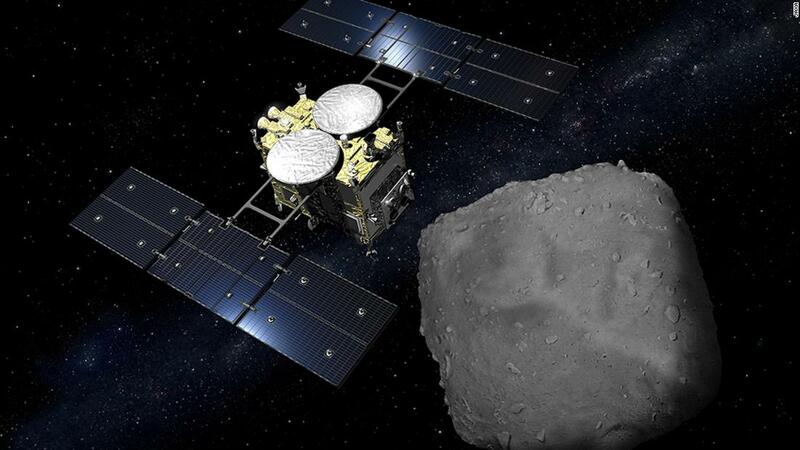 Hayabusa 2 will depart Ryugu in December 2019 and return to Earth by the end of 2020 with its precious cargo of samples to be analyzed by scientists. If it makes it back to Earth on schedule it will be the first mission to bring back samples from a C-class asteroid, which hasn’t been visited before. 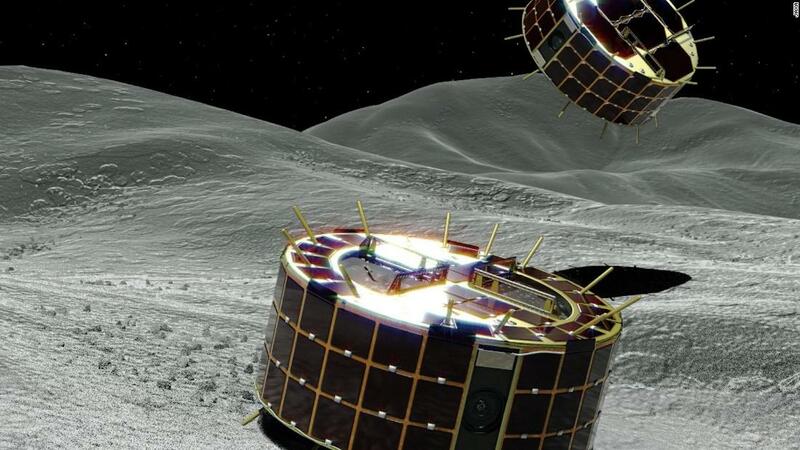 John Bridges, a professor of planetary science at the UK’s University of Leicester, told CNN last month that the Hayabusa 2 mission is interesting because of Ryugu’s C-class status. C-class is the most common variety of known asteroids. Even reaching the asteroid is a huge achievement: It is the equivalent of hitting a 6-centimeter (2.4-inch) target from 12,400 miles away. 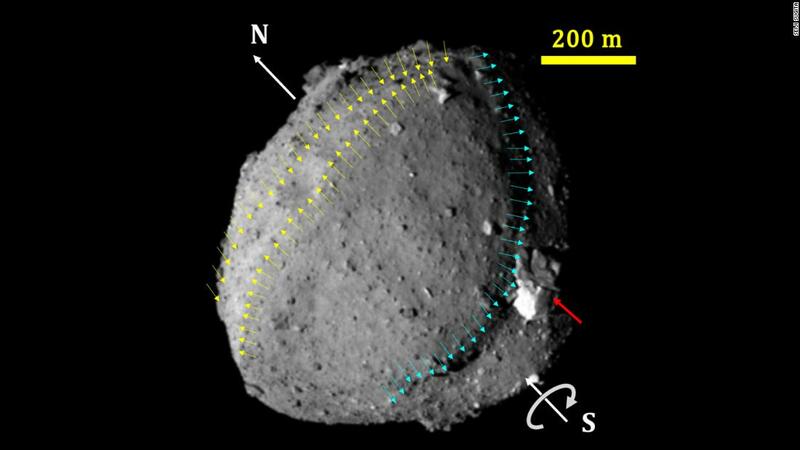 “In other words, arriving at Ryugu is the same as aiming at a 6-centimeter target in Brazil from Japan,” said JAXA previously. The Hayabusa2 spacecraft arrived at the asteroid in June last year, after a journey from Earth that began in December 2014.